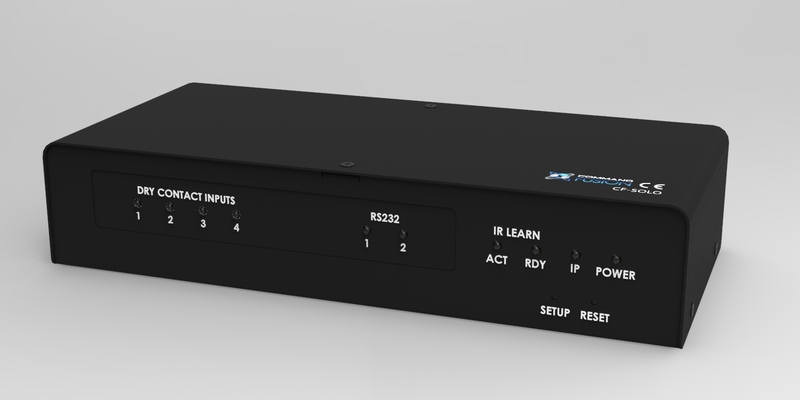 At ISE Amsterdam CommandFusion will announce the upcoming release of the “Solo”, an all in one networkable controller. Designed for the home automation and commercial market spaces, the Solo provides all the control ports required for a networked, single room or small installation. 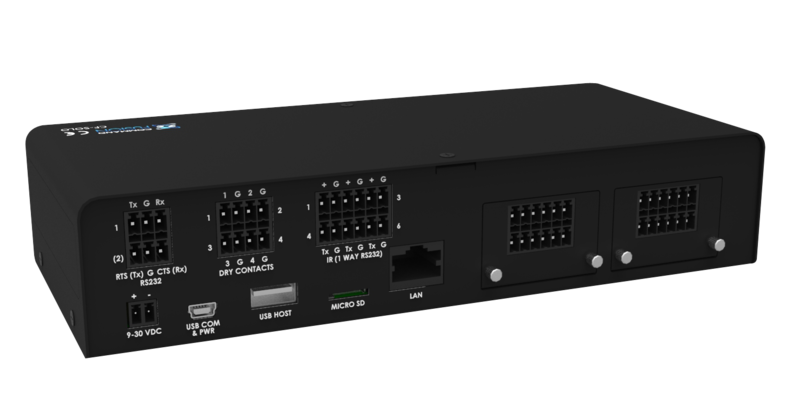 CommandFusion will announce and demonstrate their upcoming product, the all-in-one networkable controller named the "Solo" at ISE Amsterdam in February. The Solo is designed to give smaller installations in both the home automation and commercial control markets powerful control functionality at a cost effective price point. Key features include an ethernet connection, a generous variety of commonly used control ports and two expansion slots. “We believe the Solo is going to be very popular. It gives the customer more control ports and functionality than most other controllers on the market, and we have managed to keep the price very competitive!” said Jarrod Bell, Co-Founder, CommandFusion. A built in Ethernet port gives the Solo immediate and simple connectivity to any standard network, while the communications expansion slot allows the user to easily add other protocol cards such as the Wi-Fi expansion card – which will be available at product launch. Along with all the standard control ports you would expect, the Solo also features 10 built in high power IR Blaster LEDs. The Blaster LED’s flood an area with infrared, allowing for wireless control of devices with an IR receiver. The built in IR Learner means that the user can learn codes directly on the Solo itself, there is no additional equipment required. Upon launch a number of control expansion cards will also be available, these cards will allow for the user to customize the Solo to suit their requirements. The ability to add additional RS232 ports, IR ports, relays or other control ports will be very simple and cost effective. Open protocols will make it simple to interface with third party control systems, and integration with CommandFusion’s own iViewer mobile application will be a simple affair. “The ability to expand on the Solo’s functionality through the two expansion ports is an amazing feature. It means the customers can customize the system to suit their requirements, and they aren’t paying for what they don’t need.” Said Siong Low, Chief Technology Officer, CommandFusion. The Solo will be demonstrated at CommandFusion's booth at ISE Amsterdam, and is expected to be available in the first half of 2014 along with a variety of communication and control port expansion cards. The Solo will have an estimated RRP of under $450 USD with industry leading dealer margins. The Solo will be available through CommandFusion’s distribution network, or directly from the CommandFusion website. 2011, the company has been selling its flagship software product (CommandFusion iViewer) for iOS since 2008. Renowned for its flexibility and versatility, iViewer is now available for both iOS and Android platforms. CommandFusion’s control and automation hardware line was released in 2012, after a 3 years of development. With a small, dynamic and driven international team coming from the automation, software and hardware fields, CommandFusion strives to offer the best support and fastest innovation turnaround in the industry. CommandFusion continues to grow and adapt its software and hardware lineup to suit the constantly changing automation and control industries.